SANOFI won the 1st ever CEE Pharmaceutical Manufacturing Excellence Award in the manufacturers category at PHARM Connect - the market leading pharmaceutical and biotechnology manufacturing business summit for CEE.To learn more about the award winning project, TEG the organiser of PHARM Connect interviewed Csaba Hertelendi, Value Stream Manager at SANOFI. Csaba Hertelendi is a chemical engineer and was the plant manager when he started this project with his colleagues from Process Development. Partly inspired from this project, this year they have LEAN-reorganized the production and now he is the value stream manager. Here in Ujpest they are the successors of a more than 100-year-old chemical and pharmaceutical activity and now part of the global healthcare leader, Sanofi. Sanofi is engaged in the research, development, manufacturing and marketing of therapeutic solutions focused on patients' needs. Sanofi has core strengths in diabetes solutions, human vaccines, innovative drugs, consumer healthcare, emerging markets, animal health and Genzyme, focusing on rare diseases. TEG: What were the major achievements after the project had been implemented? Csaba Hertelendi: A few years ago, a patent of one of our products was close to expiry and of course we were expected to face generic competition. Our product seemed to drop behind in the generic competition. We did not want to lose this product, this activity and therefore the major achievement of this project was that we could increase our competitiveness and could save this production at our site, because we managed to decrease the cost by 35% in the first step. And we have not finished our work yet! TEG: What was the innovation within your project which made you win the 1st CEE Pharmaceutical Manufacturing Excellence Award? Csaba Hertelendi: We started this production at our site approximately 10-12 years ago. Since then we have continuously developed our production using our traditional chemical-technological thinking. But this kind of development was not enough; our aim was to be even more innovative. Something completely different than we had done so far, because we felt that within our current framework we saw no new promising direction or breakthrough in development. We needed a new approach: "We can't hope to solve our major problems with the same thinking which generated them. Albert Einstein". This new approach was the LEAN. The LEANchemistry. We combined LEAN -developed to perfection in the automobile industry- and chemistry. We translated the messages of LEAN into chemistry and into our processes. We focused on "do only what the customer wants". The customer does not care how much we work. With this new approach we identified new kinds of wastes in our chemical processes and during the project we decreased or eliminated these wastes if chemistry or HSE allowed (keeping in mind not to risk our HSE and quality excellence). So far we have spent a lot of resource (human, machine etc.) and therefore money to "manufacture" and deal with these wastes. But not anymore! Now we spend our resources only on valuable activity, valuable from the customer's point of view. Because use of resource costs, costs a lot. We spared resources and thus decreased cost. The LEAN massage during to project or our motto was "simplification and concentration" everywhere and the "global view" deal with the whole value stream "the era of separately optimizing each intermediate process has past". TEG: How do you think the recognition is helping you to gain further publicity? Csaba Hertelendi: A lot of people from lot of countries from the region attended this conference and everybody could see what we did in our project. We hope that we could inspire others. And maybe in the future they can show us something that will inspire us. We believe that continuous development is essential to remain competitive and we support innovative thinking in every stages of our company. TEG: In your opinion how is the award supporting the developments of manufacturing excellence solutions in the CEE region? Csaba Hertelendi: In our application we showed a case study, an example of how we adapted LEAN philosophy. We showed our results and we believe that there is a big room for change and improvement in every process of every company. LEAN opens new horizons, offers different perspective and increases competitiveness. TEG: Which are the biggest challenges your department is currently facing? What type of new solutions or methods are you planning to introduce in your current and upcoming project? Csaba Hertelendi: The biggest challenge -I think for every company- is to be and to remain competitive in the future. And to be more and more customer focused, to understand more deeply the customers need. LEAN also means a company culture. Now we are working on a project to re-shape our company culture to be more and more attractive to our internal and external customers, even to each other on the site working at different departments. And to convert our company into an even better and better place to work. Happy people are more satisfied, and they put more effort into their work. They are about three times more creative, approximately 30% percent more productive according to HR studies. This year we have reorganized our chemical production (project TERMITE) according to value streams, created a matrix structure. Now we are consolidating this structure. TEG: Are you planning to apply for the award again in the future during PHARM Connect? Csaba Hertelendi: Yes. We are strongly working on to increase our excellence and innovatory capability on every field. Because the world is constantly changing and we have to realize and adapt to these changes. "It is not the strongest of the species, nor the most intelligent that survives. It is the one that is the most adaptable to change. Charles Darwin (1809-1882)". TEG: Are you planning to attend PHARM Connect 2016? Csaba Hertelendi: Yes, definitely. It is good place to share experiences and learn from others and to meet the suppliers and vendors. Hopefully we can see more and more attendees in the coming years. TEG: Is there anything you would like to add? Csaba Hertelendi: This conference and the award was a good feedback that we started valuable work that raised the attention of the jury. If you think your solution is cutting-edge and should be recognised by the industry, apply now for the 2nd CEE Pharmaceutical Manufacturing Excellence Award and put your business in the spotlight at the 6th PHARM Connect Congress which will take place again at 5* Corinthia Hotel in Budapest, Hungary on 24-25 February 2016. PHARM Connect Congress is the largest and most important pharmaceutical and biotechnology business summit in the CEE region, taking place annually in February, in Budapest, Hungary. Since the event's launch in 2011, the number of participants has reached more than 400 from over 20 countries in the region and beyond. Over the two days of the congress leading service providers of the pharmaceutical and biotechnology sector have the opportunity to meet the key decision makers of their targeted companies. PHARM Connects Programme Advisory Committee guarantees that the conference programme gives the most up-to-date market insights and the congress offers exclusivity, pre-scheduled business meetings and superb networking opportunities. 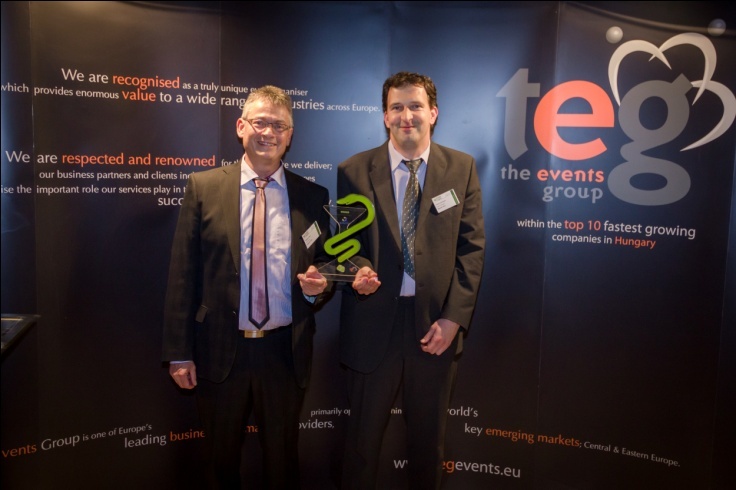 TEG The Events Group is one of Europe's leading business information providers, operating primarily within the key emerging markets of Central and Eastern Europe. The main focus is on business-to-business congresses that connect top professionals within various industries in the region, bringing together senior-level executives from Europe's largest organisations with leading service providers. TEG's client base includes international and top Fortune 500 companies that are all leaders within their key market sectors. Strictly operating on an invitation-only basis guarantees that the highest level of delegation is present on all events. The unique format of our congresses and their role in establishing new collaborations in the region has helped us to obtain a market leading position and to become one of the top 10 fastest growing companies within Hungary. Our congresses are recognised and supported by all major associations and have extensive media coverage throughout Europe.